Most people who suffer from psoriasis feel as though they are alone in their battle for comfort or relief from their symptoms. However, this is not true. Very few people who have psoriasis realize exactly how many others share their personal issues with them. There are even celebrities with psoriasis and they also have the same physical and emotional symptoms you deal with daily. Sometimes a person may feel better about their circumstances if they know others who have the same condition as them. It works kind of like a support group for everyone involved just knowing that you are not the only one. There are support groups dedicated to helping people understand that they are not alone. The people you will meet in a support group are just like you. They have a family, job, and friends. They also have times when their psoriasis gets better and worse. They know tips that you may not have considered which will help you relieve the pain and itching you feel. You may not know whether there are celebrities with psoriasis who visit these support groups or not. In some cases a support group is anonymous. However, there are a lot of celebrities with psoriasis. Perhaps you will see them when you join in on a “Walk for Psoriasis Cure” or some other type of endeavor to find the cure for psoriasis and psoriasis arthritis. LeAnn Rimes-Country music singer and one of the many celebrities with psoriasis. She struggled for years to hide her skin condition from the world, until 2008 when she finally decided to talk about her issues with psoriasis thanks to an awareness campaign known as “Stop Hiding, Start Living”. Art Garfunkel-He was most well-known for his duo act with Simon, who Garfunkel knew since he was in the sixth grade. He also suffered with his skin’s pain and itching. Karin Holstein-International fashion model has suffered with psoriasis and its symptoms since she was a young girl and has still managed to survive in a very public way. 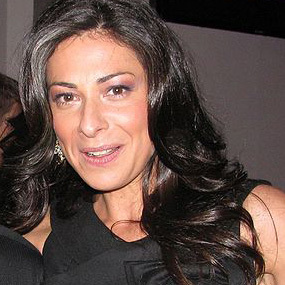 Stacy London-Co-host of What Not to Wear knows a lot about clothes and perhaps more than she wants to know about psoriasis since she was diagnosed with the skin condition at the age of 4-years-old. Mark Gastineau-The defensive end for the New York Jets from ’79 until 1988 kept a dark tan because it helped him to control his psoriasis outbreaks. Kim Kardashian-She is currently taking a break from her stressful life of the spotlight because her dermatologist suggested that stress could cause her to have more outbreaks from her psoriasis. Considering the simple fact that she is expected to look great at all times, she has agreed to take a little time out to help herself. CariDee English-Became one of America’s Cover Girl models even though she suffered with psoriasis for 15 years prior to becoming a model in 2006 after winning cycle 7 of America’s Top Model. Jerry Mathers-He is a proud member of the National Psoriasis Foundation and famous for his role of Leave it to Beaver where he played Theodore Clever or Beaver. John Lovitz-One of the many stars of Saturday Night Live has discovered that psoriasis is no laughing matter to himself or anyone else and he has went public as a speaker on his trials while suffering with pain and itchiness. Psoriasis is not something that people have just discovered. People throughout history have also suffered due to their particular skin condition, although, in the past, it may not have been diagnosed as psoriasis. In some cases people may have been shunned for their red, flaky, patches of skin and their itching or pain. In the case of Robert Bruce who was Robert 1, King of Scots, between 1306 and 1329 when he passed away, he had what was called the “unclean ailment”. It was believed by many that he died of leprosy, however, now it is thought to resemble conditions such as psoriasis, syphilis and a series of strokes instead. You could also add to the group of famous historical figures who suffered from psoriasis the one and only fleet Admiral William Frederick Halsey, Jr. who died in 1959. He had a severe attack of psoriasis before the Battle of Midway. He was unable to go to battle so gave his chief of staff the ability to get someone else into battle. As a result and overall command of Vice Admiral Fletcher the United States carrier forces gained victory against the Japanese Combined Fleet. When you have psoriasis there is no reason you cannot learn to control it and help yourself to feel better during outbreaks. It can affect anyone at any time and most of the people who have been diagnosed with it have had it for most of their lives. It does not know the color of your skin or the things you plan to do with your life. It does not care if you have a date tonight or you want to spend a day on the beach with your kids. It is just an unfortunate part of life for millions of people. 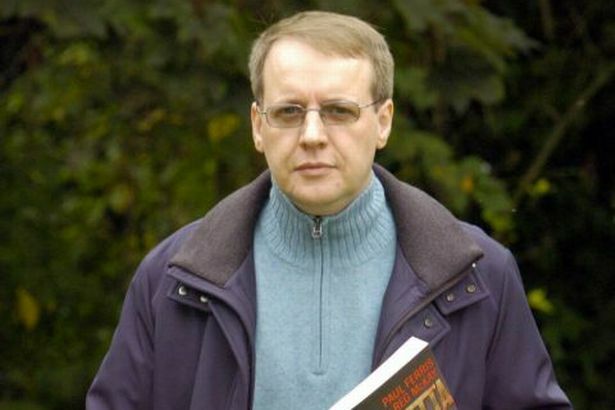 Even authors and gangsters have been affected by the discomfort brought on by psoriasis, For instance, Paul John Ferris, who is a businessman in Scotland as well as the author of Deadly Divisions and Ferris Conspiracy, among others. He was also arrested by the time he was 17 for his role in an assault and robbery for which he was sent to Longriggend Remand Centre. The best thing you can do for yourself beyond being good to your skin to avoid outbreaks of your psoriasis is to keep in mind the very simple truth. You are not alone with your battle. History has proven that anyone can become a victim of this skin condition. It does not mean you have done it to yourself. Even celebrities with psoriasis have had to figure out what treatment options work the best for them. You will also find what works the best for you and begin to live a more normal, less itchy and painful, way of life. Just do not give up your search for the perfect treatment for yourself.